Domestic cleaning is a part of all of our lives. However, the time may come when you have a large house or a busy schedule and you cannot handle all of the cleaning yourself and would like to hire a domestic cleaning company. Before you do so, be sure you know what to expect from a housekeeper. A housekeeper is responsible for the removal of litter, dirt and stains. A housekeeper does not generally pick up toys, clothes, or other clutter, though. 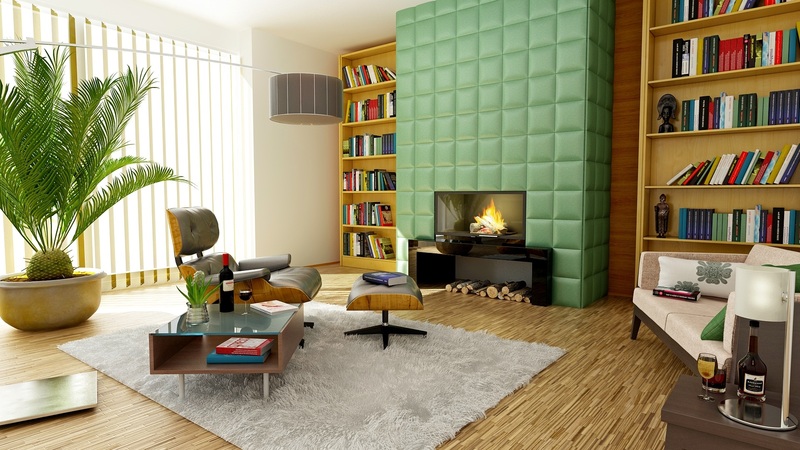 Talk with the house cleaning company to determine what is considered clutter and what isn’t. For example, some charge extra for cleaning dishes, but not for putting dishes in a dishwasher. Dusting, sweeping, vacuuming and mopping are standard responsibilities for a housekeeper. Cleaning tubs, showers, bathroom counters and mirrors are also usually included in the cost. For an additional charge, you can add on just about anything you want to: washing windows, TV screens, cleaning blinds, dusting baseboards, watering plants, folding laundry and changing sheets. Prices vary depending on the types of services done, the size of your house and how often you have a housekeeper come out. Most domestic cleaning companies require payment at the time of services in the form of cash or check. You can have a housekeeper come while you are home or while you are away. Homeowners often leave a key with a housekeeper or under the mat, when hiring a company, since the housekeeper may change from week to week. Housekeepers should bring their own supplies and you have the option of choosing eco-friendly products or more mainstream products. Domestic cleaning service is a great idea for families that are busy and have the extra income to pay for it. Make your next broom your last… Some ideas to make your brooms last longer and do a better job. 1. Always use a holder to keep the broom stored off the floor or store with the broom side up. (Resting on the floor the fibers will flatten and reduce the effectiveness of the broom). 2. Comb out the fibers regularly to remove debris. 3. Brooms and dustpan can be cleaned with mild detergent and water; this is a good job for your spouse if they forget your birthday. 4. Always sweep gently in order to let the bristles do the work. 5. Push broom blocks have two handle holes (one on each side). Change the sides often so that fibers wear evenly. 6. The correct length for a broom handle is from the floor to the bridge of your nose. Remember to sweep in an upright position to prevent back fatigue. This question was submitted from Colleen. If the paint has dried you have a challenge. For an old stain try using a paint remover (from a hardware store). Test a small area first. This is a fairly harsh chemical designed to turn paint to mush so it can be removed from furniture for refinishing etc. Scrape and remove (using a spoon) as much of the paint as possible. If the paint remover is working apply more as needed. Be careful not scrub, this will force the paint deep into fibers, and can also damage the fibres leaving a hole or much lighter appearance. If the stain is still there, cover with glycerin and let sit for several hours in an attempt to loosen the stain. Then treat as a fresh stain and start by sponging out as much of the stain as possible before applying a laundry pre-treat – launder in warm water. Do not put in the dryer. Inspect the stain to see if you have to try again to remove it. The heat from the dryer will set the stain! If you are fond of these pants try going to a professional cleaner. Point out the stain and ask if they think they can remove it; they likely can with better results than trying at home. If the paint is oil based the pre-treatment should be a solvent designed for oil based paint (paint thinner).